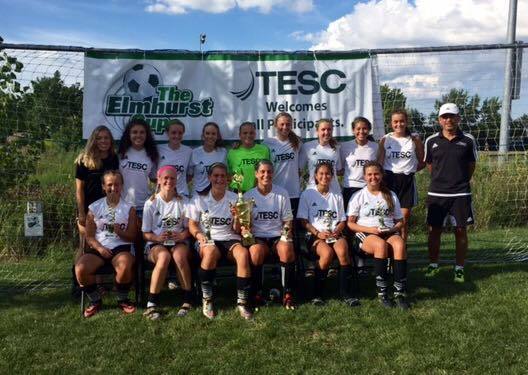 The following links will go over each age group curriculum and guidelines the TESC Staff coaches will use throughout the season. The TESC curriculum is based on the philosophy of US Soccer and the KNVB (Dutch) Federation. Many of the sessions will consist of various small sided games/activities that equate to 1 vs 1, 2 vs 2, and 3 vs 2, activities. Players will learn many skills within these types of activities such as dribbling, passing and shooting. Our focus will be based on age appropriate development so the players can learn and enjoy their time at practices and games. Positive learning environment based on specific, truthful and positive feedback/praise. All TESC players are welcome to attend additional training sessions. Please contact your child's staff coach to determine which additional sessions can benefit your child. US Soccer promotes the philosophy of 3 training sessions and 1 game per week from U10 and above for maximum player development.